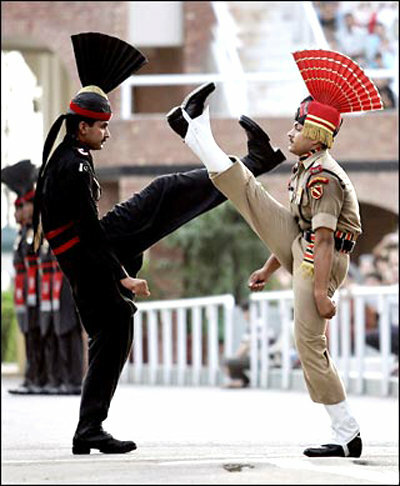 The daily Wagah event is a popular tourist attraction, but rather than it being a show of hostility between the two nations, an atmosphere of jovial patriotism coexists on both sides. The ceremony is an exhibition of force mixed with cooperation, reminiscent more of dance battles than military aggression. It even ends with a handshake between the participants.